Insight Vacations brings you luxury escorted journeys to Britain & Ireland, France, Italy, Spain, Switzerland, Austria, Greece & Egypt. Insight Gold is a unique collection of luxury escorted journeys. 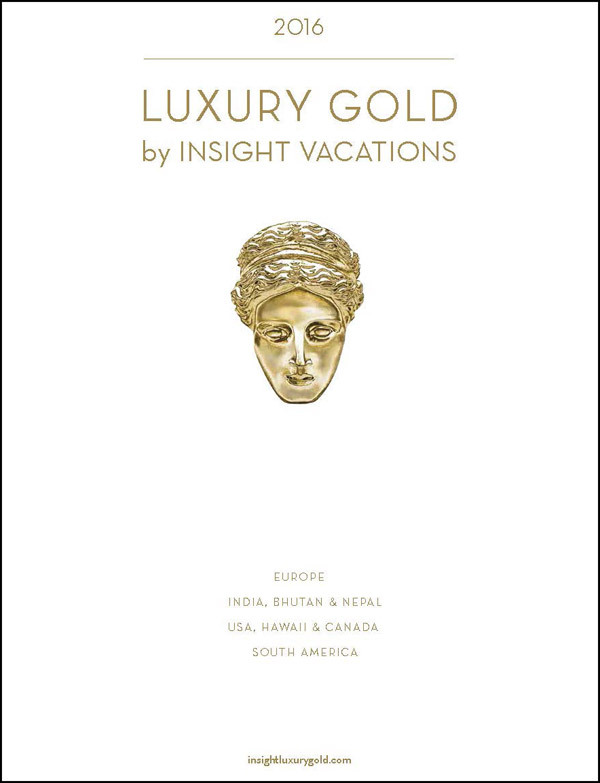 Insight Gold Tours showcase some of the leading luxury hotels in the world. These superb properties are always in outstanding locations and are known for their impeccable service and unique style. Dining with Insight Gold tours are a feast for all the senses. With Insight Gold Tours you will enjoy epicurean delights, authentic dinners and delight in diverse flavors and tastes whilst dining in exclusive restaurants with fantastic service and elegant surroundings.